There are so many things to consider while pregnant, with nutrition a major thing on the minds of mums-to-be. 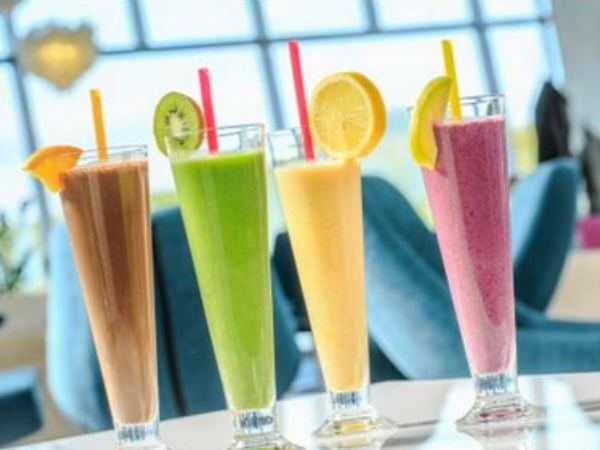 One of the best ways to get a whole load of goodness in one go is by blending yourself a delicious smoothie. But which ingredients should you be favouring while expecting? A popular smoothie staple and a brilliant fruit for pregnant women to reach for is the banana. B6 helps babies' central nervous system to develop, while their potassium is great for leg cramps. Fibre is also very important during pregnancy, and bananas contain almost ten per cent of the recommended daily intake. Use them as a base for any smoothie you make. Want to make your smoothie creamier and more substantial? Rather than using low-fat yoghurt, pick up the Greek variety. It has twice the protein of the regular version and is also high in calcium. This is important because women who don't get enough calcium will end up giving the small amounts they do have straight to their baby. Their own levels will thus be depleted, which could lead to bone problems. These power fruits are big news in nutrition thanks to the energy and 'good' fat they provide. For pregnant women, the folic acid in avocadoes is also a huge plus, as it helps with foetal development in the early stages of pregnancy. Fitness fanatics have been adding powder to their smoothies for ages now - so why not get on board during pregnancy? Maca increases energy and balances hormones and could even boost fertility levels if you and your partner are currently trying. They're a great snack during pregnancy but can also be used in smoothies if you prefer. Either way, make sure they become an essential part of your diet as they are packed with healthy fats, protein, potassium, magnesium, calcium, iron, zinc, and vitamin E.
If you'd prefer a savoury smoothie, look no further than spinach and kale. They contain vitamins A, C and K and folate and have also been found to help with eye health.